designed with your business needs in mind. FREE Invoice, Inventory and Billing Software designed to meet the needs of TODAYS small and medium sized business. Invoice Expert is the perfect software package to meet the billing, inventory and invoicing needs of your business. Whether you specialize in professional services, running a retail store, invoicing customers for repair work, or running an Internet business, Invoice Expert can simplify your invoicing and billing needs saving you precious time and money. Invoice Expert is designed to be simple and easy to use, so simple that within 5 minutes of installing and using Invoice Expert you will be able to print or email your first invoice. 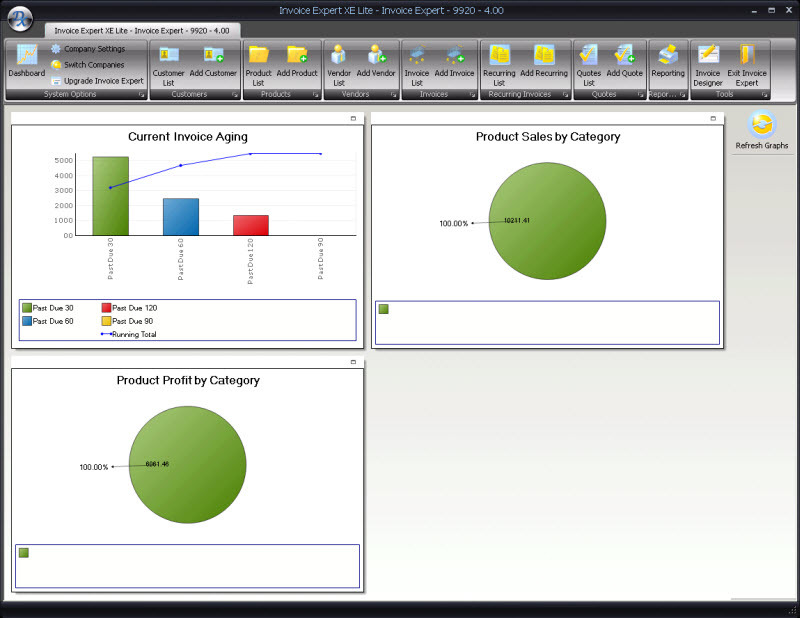 The Invoice Expert Dashboard allows you to get a quick view of you current financial position. 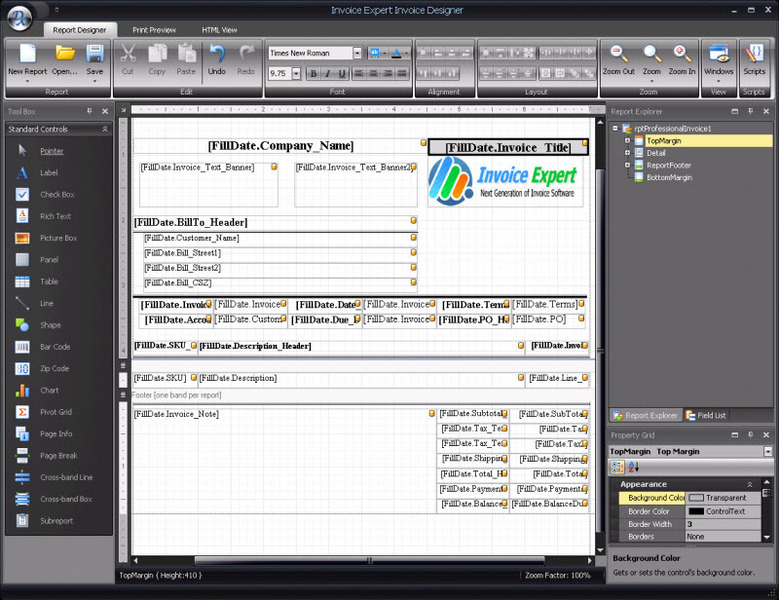 The Invoice Expert allows you to customize the invoice to meet you and your companies needs.